Did the MOD block an Oil boom on the Clyde? Yes they did. This is an eye watering story, it involves hundreds of thousands of workers thrown on the scrap heap and possibly even the reason why we have so many children living in poverty today which is heavily concentrated on Glasgow and the surrounding areas. Yet very few people know about it. 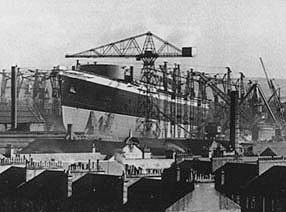 At one time as many of you will know, shipbuilding was big business on the Clyde. If you lived in and around Glasgow, chances are that you had members of your family or friends that worked in one or indeed you worked in one yourself. They are gone now except for the two BAE shipyards on the Clyde employing a mere 3000 people which is a shadow of the picture that we saw just 30 to 40 years ago. And it wasn’t just the shipyards that were effected, many companies fed into the shipbuilding industry from steel works to furniture makers based in and around Glasgow that also employed thousands. Glasgow and the surrounding areas turned overnight from being part of a manufacturing economy to a service economy. The day of the call-centre had arrived. Many of the people that worked in the shipyards went abroad to find work using their skills in other shipyards around the world, what a loss! I help to run a facebook page, it’s called “Scotland’s Big Yes/No? Debate” and tries to create a place where pro-union and pro-independence folk come together to debate the issues leading up to Scotland’s independence referendum on the 18th of September 2014. It can be “lively” at times as you can well imagine. One day, I happened upon an article in the Sunday Post entitled “Did MoD block oil boom in the Firth of Clyde?” and posted it on the facebook page with the question “Well did they?”. The members of that facebook page come from all backgrounds and walks of life and therefore it wasn’t too long before an interesting dialogue took place. A lady called Julie Dettbarn announced herself as a Researcher that was interested in the National Archives and she suggested that she would take a look to see if she could find something that had been declassified on the issue. Sure enough, Julie spotted several documents that looked likely and she aired that with the group. It was quite funny because we had those of a pro-union stance looking in as well and making a few comments – well you can imagine! Then we needed for someone who was near enough to go to the National Archive and retrieve them. Angus Coull stepped up to the plate and agreed that he would go. At the same time, Julie had contacted Chic Brodie SNP MSP who agreed to join Angus on their trip to the National Archives to retrieve copies of the declassified documents. With the aid of Chic Brodie, it was imagined that his presence would open doors that others couldn’t. What they found painted a picture that doesn’t speak well of the British Establishment and more pointedly the MoD in their total disregard for the people who live on the lower reaches of the Clyde. On the same facebook thread we also had a gentleman called George Smith who kindly pointed us to the plans by Chevron at the time to put a major oil refinery at Hunterston Point along with other major projects to take advantage of the deep water berthing there. It can be seen that they were planning big. Chevron must have spent a fortune planning for such an undertaking. Those details were sent through to Chic Brodie MSP as supporting documents. The Journalist involved in both articles was Andrew Picken and we give thanks to him and the Sunday Post for the wonderful articles produced which I have provided links to. So, what now? It has been confirmed that the MoD did in fact block an oil boom on the Clyde, a Clyde at the time that was buzzing with shipbuilding. An oil boom would have been the much needed lifeline that the shipyards and steelmakers and furniture makers and a whole host of smaller businesses needed to stay alive and prosper. Fact. It was imagined that when this hit the newstands that other Scottish newspapers would pick up and run with this story and give it arms and legs, but that hasn’t happened. I can’t say that as a pro-independence campaigner I’m very surprised. The main stream media in Scotland have pinned their colours to the Westminster mast and that makes me sick to my stomach. Very little is written or broadcast that supports the pro-independence cause directly. Or indeed attacks the British Establishment. I can imagine that lots of the people directly effected by this “theft” (if they saw the articles at all, that is) probably looked at the articles and said “Oh well” whilst giving a Scottish shrug. I at least expected a public outcry. A bit of rage. One can only imagine the countless number of lives that have been blighted by this pernicious action by the MoD. That blight has carried on through the generations of people that have been brought up on teh lower reaches of the Clyde. The MoD might as well have bombed us…..
All I can say to end this is that those submarines have to go and that at least the oil still exists for the future and that will hail a brighter outlook for the people of Glasgow and it’s surrounding areas in a future without the blight of the MoD. Bring on Scottish independence! Your doing well David,keep on writing. Thanks Charles, I’ll do my best. The more I read of how they have treated my country, the more disgusted I am by The British State and its apparatchiks. Thank you for keeping this stuff flowing out, David. Would your research support any suggestion that the MOD acted in respect of concerns from the USA about the access for their submarines? Yes David, it ‘s apparent that the US wanted unfettered access to Holy Loch at the time. However, at what point do you assume that they were an influence or the protagonists. All I can tell you is what we do know for fact and it is definite that it is the MoD that put a block on oil activities. It certainly fits the mindset of those at the top of the MoD who would act without giving a thought to the economic development of an area that they were active in. It is just possible that the US “made a few phone calls” on the subject and the MoD being in complete agreement acted in the way they did anyway. That is pure assumption on my part. Conjecture. Thanks for contacting me though. Any interest in this debacle is appreciated. I honestly feel like the man who has found the hiding place of Lord Lucan and no one believes him. The silence of the main stream media in Scotland is breathtaking. Thank you. I suppose the follow-on from my thought was whether the putative Scottish state would be any better at resisting these sorts of pressures from the US in regard to these sorts of matters than Westminster. The debacle over Lockerbie might indicate not? Your discovery is a tribute to your skills albeit rather unsettling. In all honesty I can’t answer that one David. All we can do is get there and see. Being a smaller country, the people would be closer to the parliament and I see that as a good thing. Other than that, all outcomes are possible. If they do though get sucked into the foreign policy of the US, will you join me in booting down the doors of Holyrood? Just a passing thought. Good idea, in the new year we might just do that. Thanks for the suggestion. Is the facebook group down? No, but it’s “closed” until the 2nd of Jan @ 11am. If you have any further problems contact me. as well as the access by the american subs, the clyde was used as a submarine training/testing area, it also has an ammo dump in one of the deapest parts between ardrossan and arran. i was on the subs (diesel) in the eighties and we done loads of hours running up and down the clyde. it was also used for the ‘perishers’ trials for future submarine skippers. Why are these facts not being reported in the tabloids, if i hadn’t found this thread by chance,we wouldn’t be any the wiser ( or angered ) these westminster cronies should be named and shamed, the mod does what its told by the establishment , have you found out which crook made the decicions at the time ? Chic Brodie MSP has the copies of the declassified documents. The movers and shakers will be named on those. I believe the phrase keeping the powder dry fits here and the Scottish Govt plan to use the information contained which is described as “explosive” in the final run up to the referendum. I can’t say I blame them for that. I might suit our interests to have that info now but looking at the bigger picture is the wise move. Thanks for the mention David, appreciated, more information is turning up each day, for your readers – ironically the large oil find off the coast of Northern Ireland last year (2013) of 500 million barrels of oil worth $58 billion is 45 miles South West of where the MOD refused BP a license to explore in block PL262 and has been named ‘The Polaris Prospect’ after the nuclear missiles on board the U.S. & U.K. Nuclear submarines in the late 70’s. Incidentally the 6 blocks that Westminster granted a license to off the coast of Northern Ireland at least 1 will be in Scottish waters after Independence. Since then another 4 blocks have been granted a license in the 27th round off the coast of Northern Ireland but still none in the adjacent waters on the Scottish side. I don’t think that was the sole reason the Clyde wasn’t used either. I am sure the oil and construction companies were trying to avoid a well organised and unionised workforce. I worked in Kishorn, in addition to other sites, and many of the Trade Union officials, where there were any, seemed to be the tame poodles which the companies had brought with them. So it was the Unions’ fault?? ?